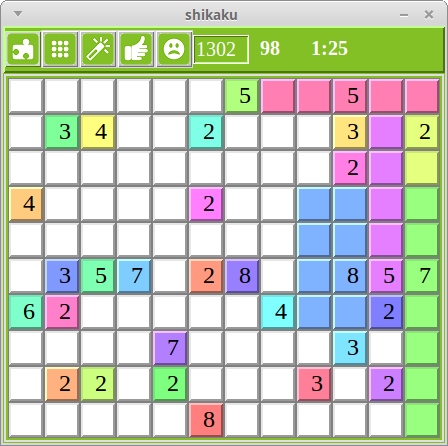 This site exists to make available a small collection of computer games, namely: Sudoku, Kakuro, Sokoban, Minesweeper, Futoshiki, Boggle, Codeword, Sumpuzzle, Jigsaw, Scrabbler, Akari, Bridges, Shikaku, Suguru, Hidato, Fillomino, Wordwheel, Wordladder, Nurikabe, Othello, Arrowsudoku, Jigsawsudoku, Ajs, Hitori and Numberlink. 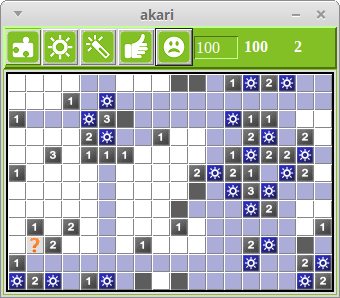 All of the thousands of puzzles (29,000 as of September 2017) contained in the games can be solved by logic: no guessing is required, even when playing Minesweeper. Every game has a hint option. The programs can be downloaded for free and are easy to install and run on Linux, Windows and Mac OS X. The programs are written in the language Python and the download includes their source code. This means that those who are interested can see how the programs are written and can change them. 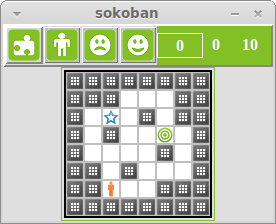 Some programs, such as sudoku, kakuro and sokoban have options which enable players to read in external puzzle files. The accepted file formats are on the Formats page. Information about how the programs are structured and written is on the Coding page. 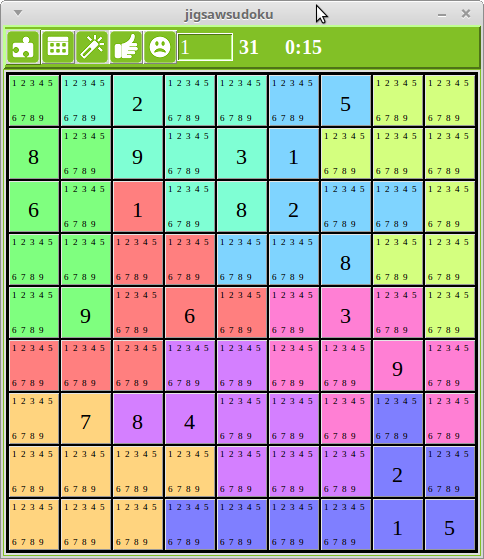 The Patterns page contains Python code and video examples of some of the non-periodic tiling patterns used in the jigsaw game. 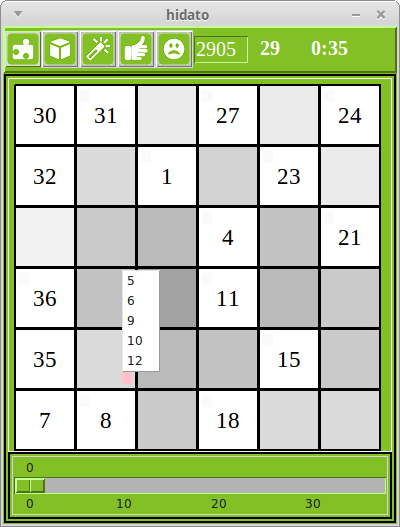 Similarly, the L-Systems page contains Python code and video examples of some of the L-Systems patterns used in the jigsaw game. The Videos page contains worked example videos for each of the games. Numerous people and web sites have provided help or information which has contributed to the creation of the programs and some are acknowledged are on the Thanks page. We have improved the pzl_installer program so that on Linux not only does it copy the programs, icons and locales to the appropriate directories, but it also adds pzl_launcher buttons to the Desktop and the Games menu. This means that complete installation on Linux is reduced to typing 4 lines in a terminal window. 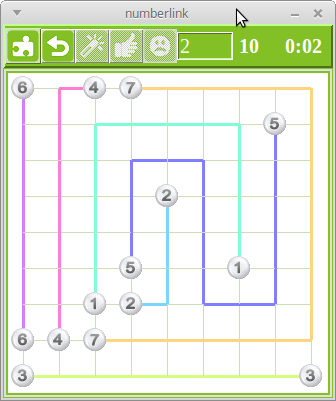 The game numberlink, with 1000 built-in puzzles has been added to the download. The game hitori, has been added to the download. Hope you like it. As requested, from this release onwards we will include a brief change log file to the download. For this release it is named change_log_17_0. 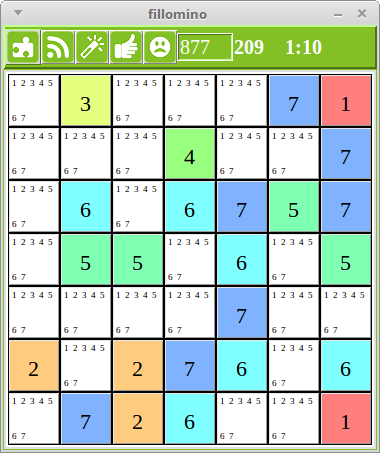 This release contains two new games: jigsawsudoku, arrowjigsawsudoku (ajs), new puzzle data for sudoku and arrowsudoku, and a bug fix for sudoku, arrowsudoku, kakuro, futoshiki. Consequently there are a large number of code changes! Please report bugs. 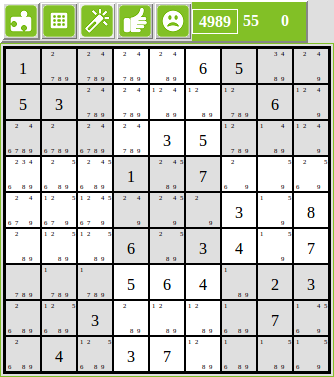 We generated new arrowsudoku puzzles because we decided that the original puzzles had too many arrows and consequently the arrows played too big a part in their solution. We note that arrowjigsawsudoku (ajs) may be unique to PZL. The bug was in the "most effective" hint mode. We've added a Videos page to the website which contains worked example videos for each of the games. 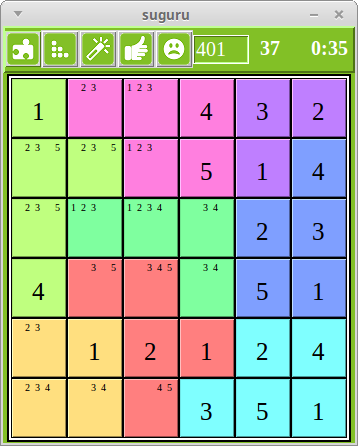 This release includes a new game: Arrowsudoku which is a variant of sudoku. The testing team are away following the course of this year's Tour de France on their own cycles and have been too tired to perform their duties for this release, so please report any problems found. 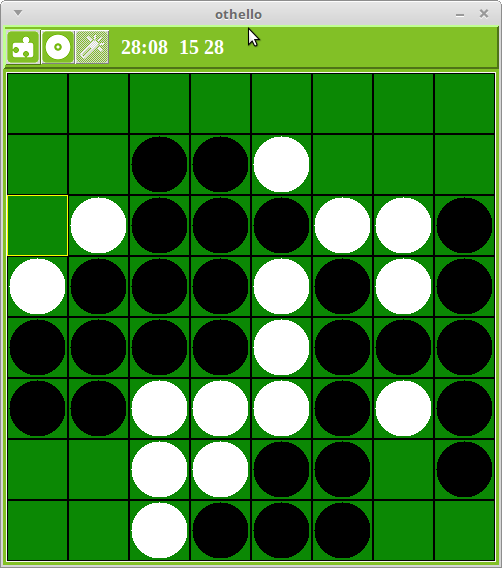 This release includes a new game: Othello/Reversi plus changes to the code designed to enable Internationalisation and Localisation in the future. The internationalisation changes have been prompted by someone volunteering to tranlsate the games into French. If anyone would like to produce translations for other languages please let us know. We have written a translation web page to outline the process. We had missed some files in the Python3 download. Thanks to SF for alerting us. Hopefully sorted now. A new game, Nurikabe has been added to the download. 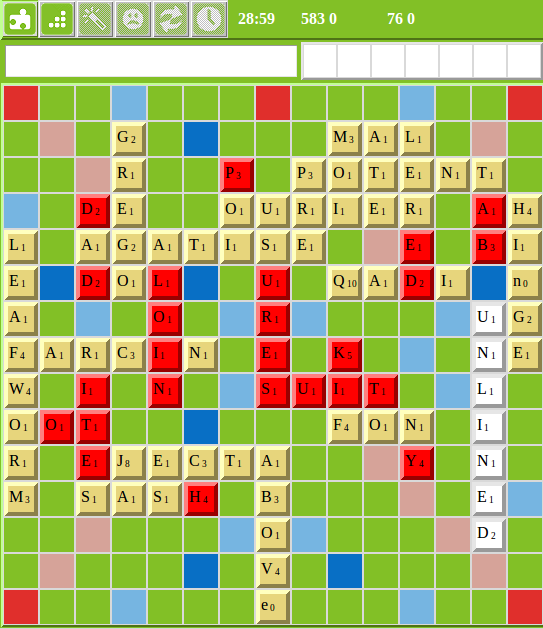 A new game Wordladder has been added to the download. A new game Wordwheel has been added to the download. A new game Fillomino has been added to the download. A new game Hidato has been added to the download. A new game Suguru has been added to the download. It is also known as "Number Blocks" and "Tectonic". Small changes have been made to sudoku, futoshiki and kakuro, and some sloppy cut and paste work in the website's algorithm descriptions have been corrected. As usual, please report any problems. The package is now available from the Softpedia site and has been awarded 5 out of 5 by the Softpedia editor. Here at PZL Towers we are justifiably proud of our dedicated and highly skilled team of designers, developers and programmers. 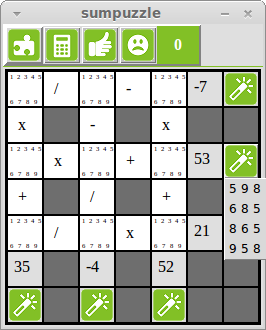 They have just completed an excellent set of computer games, namely: Sudoku, Kakuro, Sokoban, Minesweeper, Futoshiki, Boggle, Codeword and Sumpuzzle. These programs are fitting examples of the team's inventiveness, expertise and attention to detail. Not only are these people outstanding in their respective fields, they are also strong supporters of Open Source and Cross Platform Software, and though it conflicts with management policy and our responsibility to our shareholders, we have decided to respect the team's wishes and to allow these potentially valuable programs to be downloaded at no cost, complete with their source code. Though some may interpret this as a cynical PZL PR stunt we hope that the sensible majority will acknowledge it as a generous gift from a sometimes misunderstood organisation. Between them the games contain around 29,000 built-in puzzles and many games can read in external puzzles and solve them. 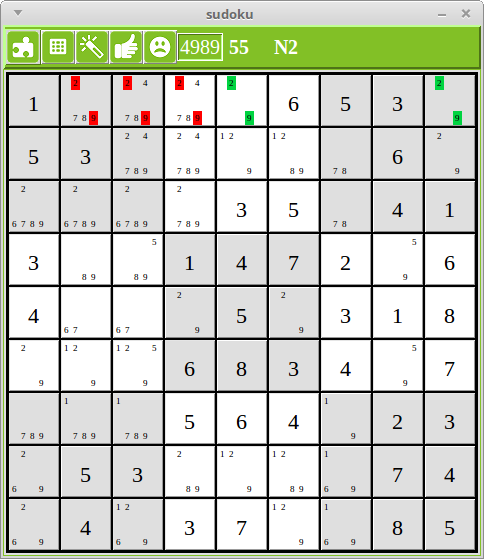 In addition, Minesweeper, Scrabbler and Sumpuzzle do not contain predefined puzzles but instead generate new ones every time they are run. 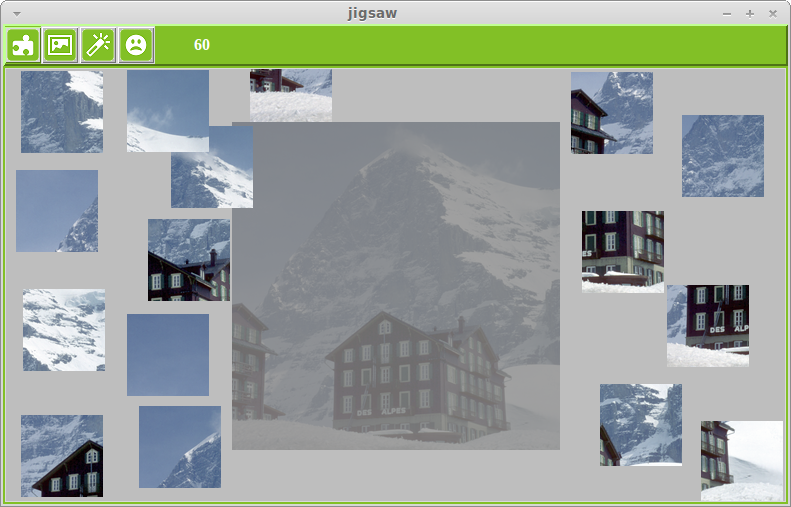 Jigsaw can generate a large range of patterns to use as puzzles and can read external images. One of the aims of the games is to help players to learn how to solve the puzzles. Every game has a hint button labelled with a wand icon. 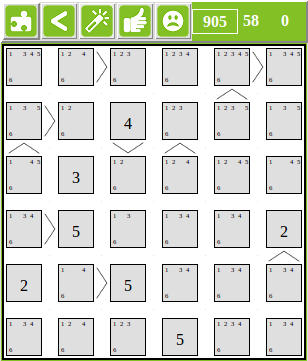 When the button is clicked the program will apply its solving algorithms to the current state of the puzzle and display the result by colouring the candidate buttons. Green coloured candidates are the "reason" why the algorithm is applicable and the red candidates are the ones which can be deleted. For some games the reasons are too complicated to be shown. When the hint is active the wand slopes backwards and if players middle mouse click on the backward sloping wand an information box explaining the hint will appear. A left click on the backward sloping wand will cause the red candidates to be deleted. 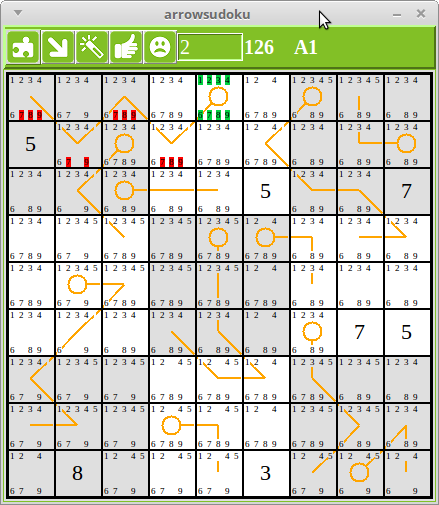 The programs can solve all the puzzles using only the hint algorithms. Indeed, the puzzles were created by finding patterns of clues that the programs could solve. However, it is theoretically possible that players may partially solve a puzzle and then find that pressing the hint button does not produce a regular hint. 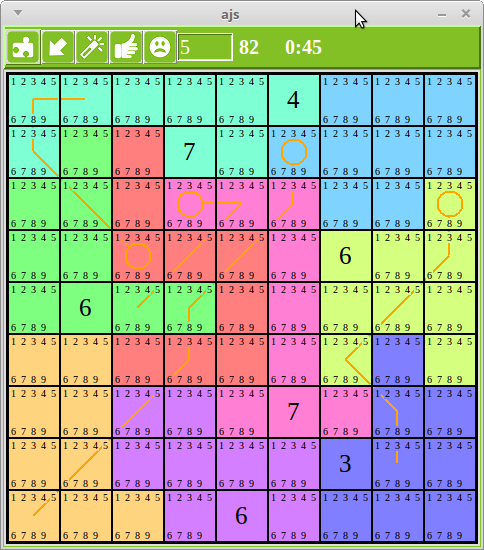 This is because each hint algorithm requires particular patterns/configurations of the puzzle in order to operate, and if none of those are present they would not be able to function. Most games using candidates have a fallback procedure for this possibility: they simply supply display a hint in which the answer for a cell is shown as a "cause" and all the other candidates in the cell are marked in red and will be deleted when the hint button is pressed. When a game has to cheat in this way the algorithm "name" is displayed as "**". As far as possible the user interface has been made consistent between games. 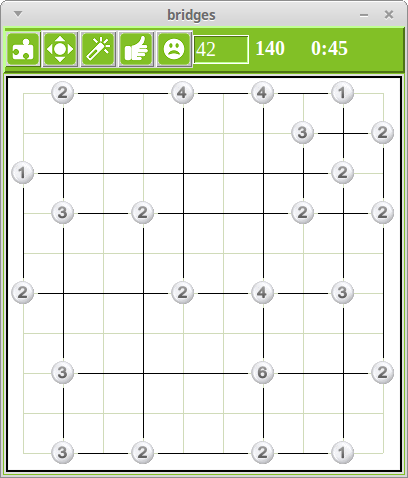 Please see the adjacent figure in which as an example we show a screenshot from the sudoku game. 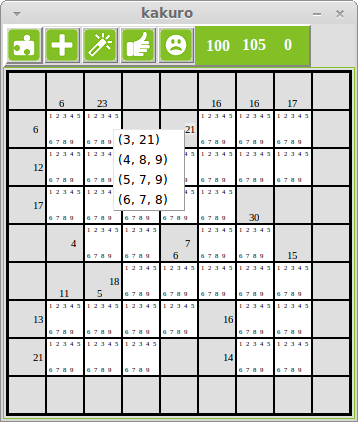 A screenshot from sudoku showing an active Naked Pairs hint. The large digits are the current answers and the small digits are the remaining candidate answers for the individual squares. 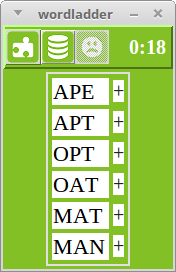 Where possible the hint display colours the candidates providing the "reason" for the hint in green and the candidates that can be deleted are coloured red. 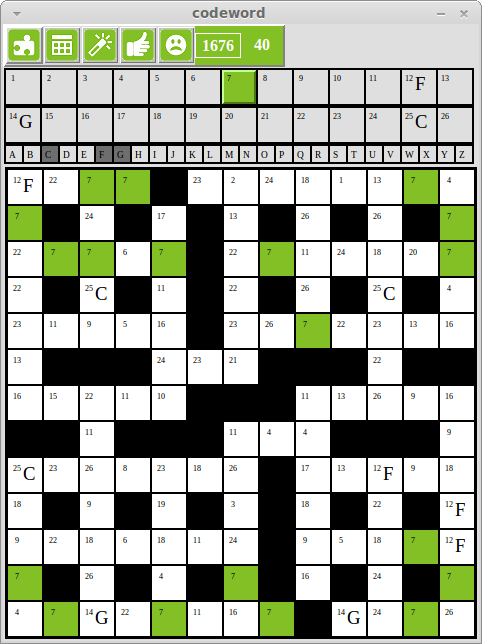 In row 9 there are two squares which contain only 2 different candidates (2,9, shaded green). As they are the only remaining candidates in these squares, they must be their answers. Therefore the other 2s and 9s in the row (shaded red) can be deleted. The puzzle icon at the top left is a menu used for selecting options, loading and saving files, and configuring the game. It also includes a help option which summarises the use of each game. The button to its immediate right is the game's identifying icon. 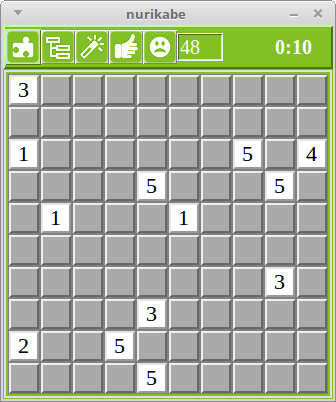 It is used within the game to load a new puzzle. For all games a left-click on this button will load a randomly chosen puzzle and for most games a right-click will load the next puzzle in sequence. Image files for these game icons are included in the download and can be arranged externally as the shortcut icon for launching the individual games. An information box describing the function of the wand button. 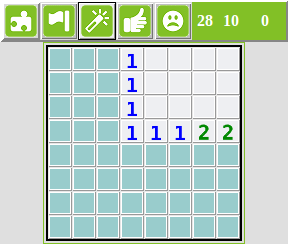 Other buttons are used for requesting hints (wand), checking for errors (thumb) and showing the puzzle solution (sad smiley). Where relevant, immediately to the right of the sad smiley is a box for entering specific puzzle numbers so that they can be loaded. Other numbers show scores and clock ticks. The function of each button can be discovered by clicking on it with the middle mouse button. This causes an information box (see Button Info figure) describing the button to pop up. An information box describing a currently active hint (here the Naked Pairs algorithm). These boxes can be popped up by clicking middle mouse on the wand icon when a hint is active and the wand is sloping backwards. When a hint is shown the wand icon switches to slope backwards. When it is in that position clicking on it with the middle mouse button will cause an information box giving a brief explanation of the hint to pop up (see Hint Info figure). 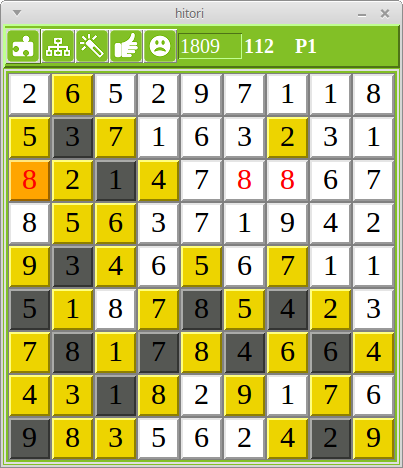 At any time the player can click on the thumb icon and the program will check the current state of the puzzle for errors. If errors are found they are highlighted and the thumb icon turns to the thumbs down position. A further click on the thumb will remove all the incorrect answers. Almost all the games have an option in the configuration menu for setting the font size. This choice will determine the size of all the components that make up the game window. Once choices like this have been made it is best to use the "Save Settings" option in the same menu so that the game always starts up with your prefered configuration.